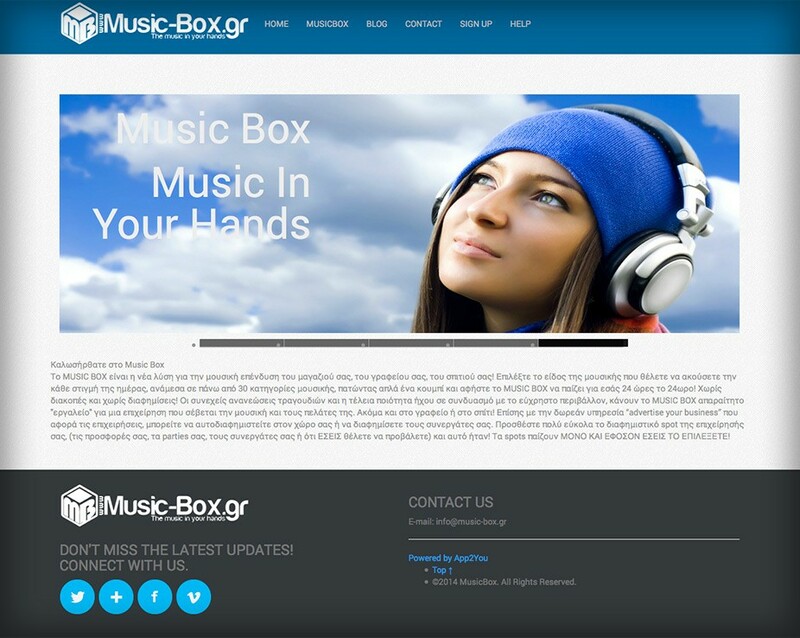 MusicBox is a new online radio-on-demand service that targets both domestic and business environments, aiming to cover the needs of these swiftly growing markets. A registered user can listen to any of the stations available, regardless of the device that they use or their current location. 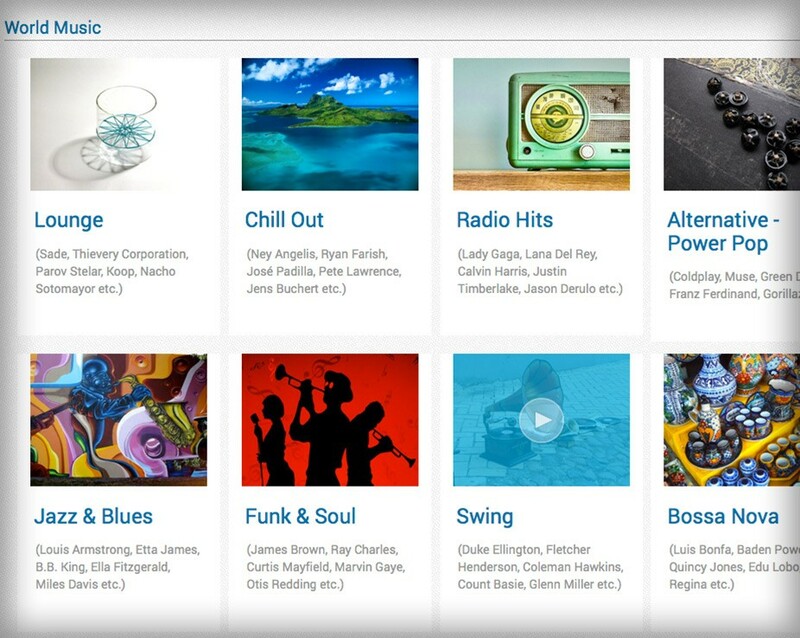 Music can be browsed or searched by genre while the available songs database is constantly updated. 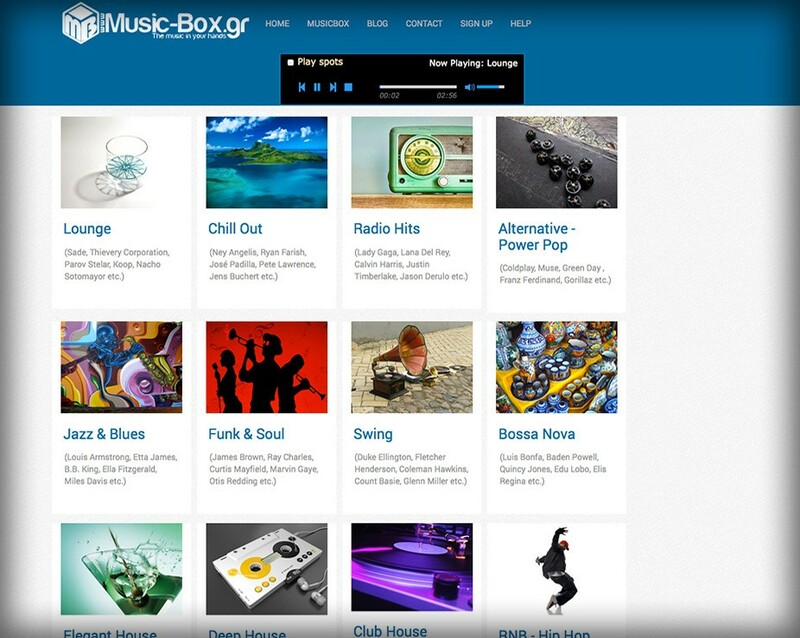 Additionally, the application provides the user the option of uploading small advertising music clips to the playlists. Since MusicBox targets both domestic and business environments, it allows the option to add custom music spots to playlists. app2u worked on the creation of MusicBox from scratch. In collaboration with our client we chose a theme, which gratifies our customers’ feel and the needs of the project. We developed a content management system, based on App2uCms, in order to make website content easy to manage for a non expert user. Additionally, we developed a custom module which allows administrators to perform one click music uploads and provides full control of the categorising of music genres. For frontend sections, we used cutting-edge technologies in order to create a fully functional responsive website with a cross browser compatible player controlled by user.